In observance of the Thanksgiving holiday the main office will be closing at 4pm on Wednesday, November 23th, 2016. 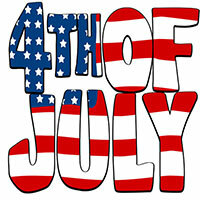 The main office will be open on Friday at 8:00am and will be closing early due to holiday. Garbage, recycling and yard waste collection services will not serviced on Thursday and will be delayed by one day. The office will be closing at 12pm Christmas Eve, and will remain closed on Christmas Day. The Transfer Station will be open to 2pm on Christmas Eve, and closed on Christmas Day. Due to Christmas and New Years holiday falling on Friday all Residential garbage services will be one day behind. We advise to put your waste wheeler out on you service day to ensure service. In observance of the Thanksgiving holiday the main office will be closing at 4pm on Wednesday, November 25th, 2015. The main office will be open on Friday at 8:00am and will be closing early due to holiday. Online Bill Payment is here!! You now have the option to pay your bill online. To create your online payment account you will need your Account#, 7-Digit Access Code, and Email to create your log-in. You can obtain your Access Code# on the bottom of your statements/invoices or call directly to our Billing Dept. Upon received Access Code# from our website, click the yellow tab ONLINE BILL PAY located on top left corner to be directed to a secure link to sign-up, log-in, and make payments to your account. In observance of Labor Day our Office, Roll-off, and Transfer Station will be closed on Monday September 7th, 2015, but all Residential and Commercial services garbage services will be running as normal. In observance of the 4th of July our main office will be closed Friday, July 3rd, 2015. Please note there will be no interruption for garbage, recycling, or commercial services due to holiday, however the Transfer Station will be closed Saturday, July 4th, 2015. Come join us Saturday, April 18, 2015 as we Celebrate Earth Day in the park. The event is located at Graceada Park (Needham & Sycamore) from 10am- 4pm. There will be many vendors, food, earth friendly products, services that will provide education on how we can help contribute to making every day earth day.